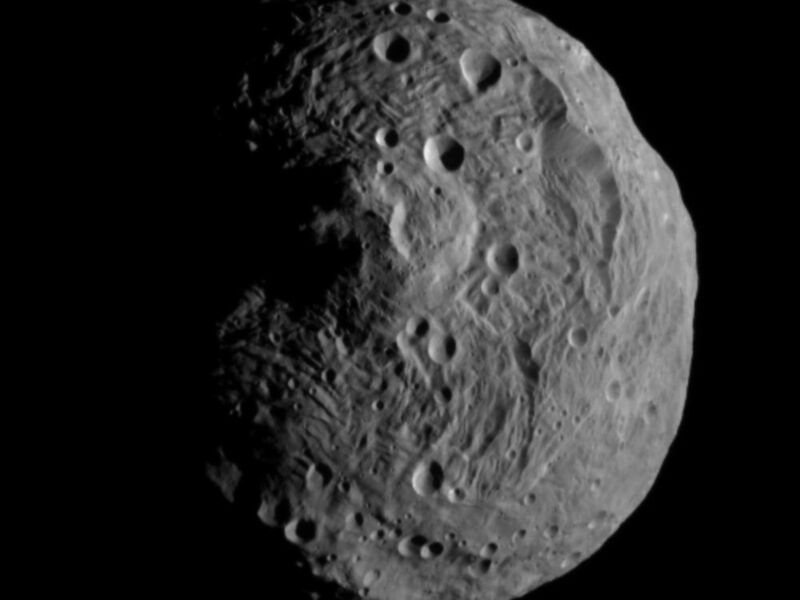 NASA's Dawn spacecraft obtained this image with its framing camera on July 17, 2011. 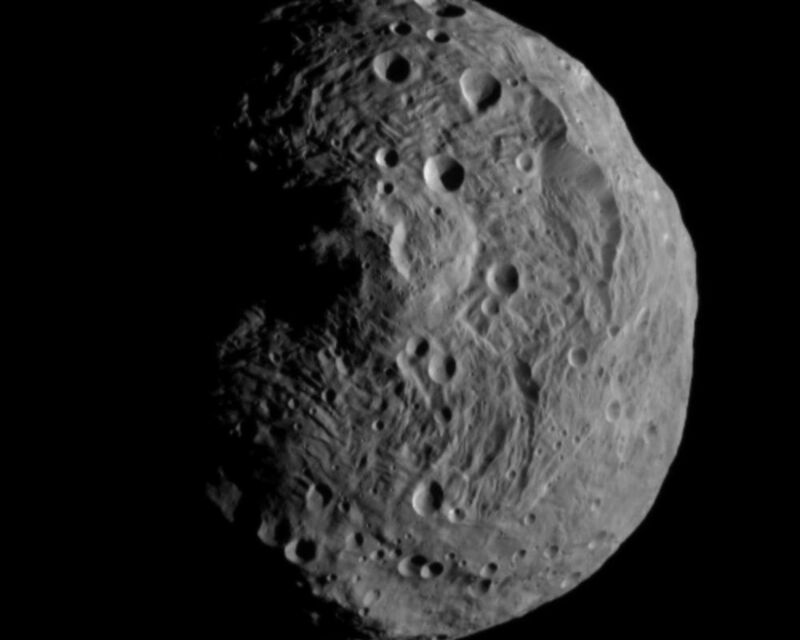 It was taken from a distance of about 9,500 miles (15,000 kilometers) away from the protoplanet Vesta. Each pixel in the image corresponds to roughly 0.88 miles (1.4 kilometers). 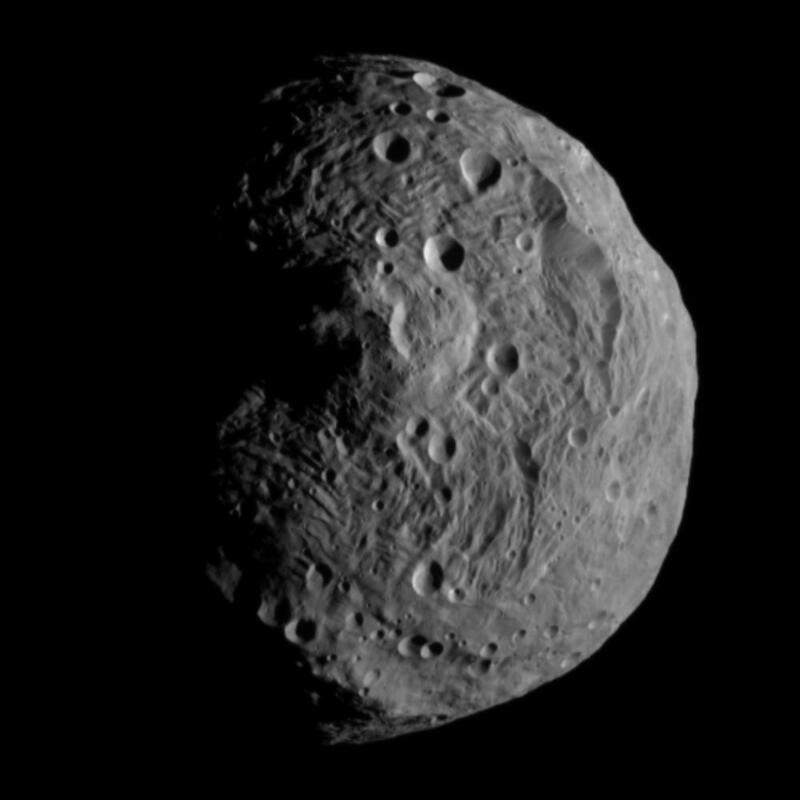 The Dawn mission to Vesta and Ceres is managed by the Jet Propulsion Laboratory, for NASA's Science Mission Directorate, Washington, D.C. It is a project of the Discovery Program managed by NASA's Marshall Space Flight Center, Huntsville, Ala. UCLA, is responsible for overall Dawn mission science. Orbital Sciences Corporation of Dulles, Va., designed and built the Dawn spacecraft. The framing cameras have been developed and built under the leadership of the Max Planck Institute for Solar System Research, Katlenburg-Lindau, Germany, with significant contributions by the German Aerospace Center (DLR) Institute of Planetary Research, Berlin, and in coordination with the Institute of Computer and Communication Network Engineering, Braunschweig. The framing camera project is funded by NASA, the Max Planck Society and DLR. JPL is a division of the California Institute of Technology, in Pasadena. 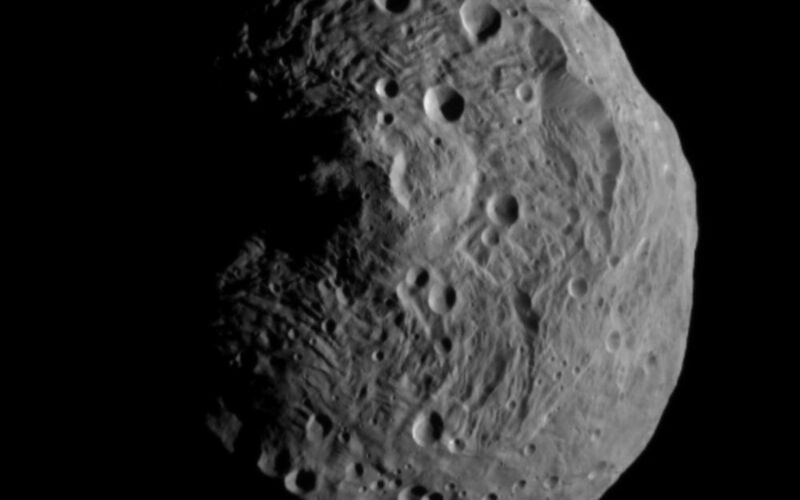 More information about Dawn is online at http://www.nasa.gov/dawn and http://dawn.jpl.nasa.gov .